Irma wreaked havoc in the Caribbean, including damaging or destroying an estimated 90 percent of the structures on the small island of Barbuda, which is home to about 1,400 people. 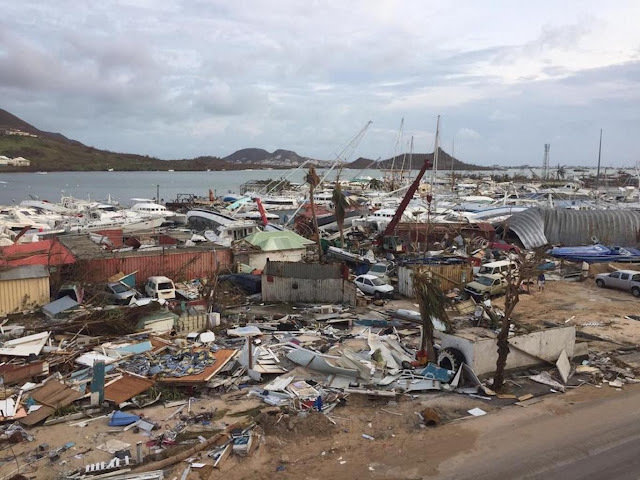 The governor-general of Antigua and Barbuda, Rodney Williams, told the meeting that when Irma thundered through, "immediately Barbuda was rendered uninhabitable." "Its ferocity forever changed the landscape of Barbuda, and as the sun rose the next day the destruction was horrific," he said. He noted that the entire population has been moved to nearby Antigua. "For the first time in over 300 years, there is today not a single human being living on Barbuda," Williams said the preliminary estimate for rebuilding Barbuda is $300 million, which represents more than 20 percent of the country's GDP. "Barbuda is not a lost cause," Williams said. "We can re-establish the island, better and more secure as a productive tourism centre and as a safe homeland with which its inhabitants are desperate to reunite."